Driven from the ambitious goal of achieving the intermediate language level competence in the Chinese language (Hanyu Kouyu Shuiping HSK4) and reassured from a fitfteen years experience in language teaching, I enrolled into one of the most prestigious China’s universities: East China Normal University 华东师范大学. 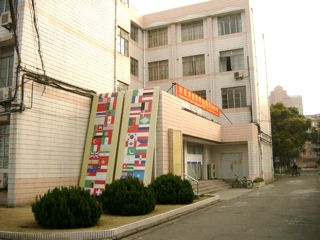 On January 2009 at its university campus I started the journey into the mysterious and exotic world of the Chinese language. The first semester at university was an intense intellectual and organisational activity. On one side, I was learning a language completely different from the languages I already mastered. On the other side, I was confronted with teaching methods and learning material that I perceived as obsolete. Despite my initial scepticism, I welcomed this experience as an opportunity to reflect on the degree of change Western language pedagogy had undergone during the last two decade. During the first months of learning I spent my days memorising vocabulary. Lots of them. 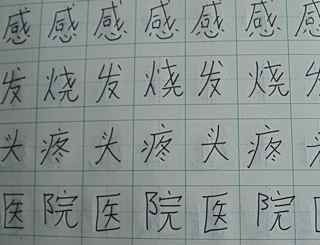 I wrote each character hundreds of times on traditional Chinese school notebooks. I studied my books till late at night, reading-aloud long lists of terms and paying attention to pronounce the hidden vowels of the treacherous pinyin system. I learnt by heart entire passages of texts hoping to be able to reproduce them in class during the first teaching unit. I inferred grammar rules from the poor grammar explanations I received in class. I strived to complete my written assignments on time, assignments that the teacher would have collected for correction in the first class hour. After the completion of the first semester at university and despite my great cognitive and organisational envolvement, I was still unable to manage simple conversations. I could say I want to transform my money into working capital (让死钱变活钱)—yes, money is the core of the Chinese culture indeed!—but I couldn’t confidently say Please wait your turn! or That’s a small present for you. I hope you will like it. 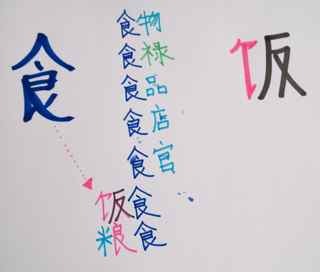 Great expressions indeed to impress my Chinese friends by showing good manners and to set the condition for a prospering 关系 (guānxì, relationship). I felt dumb and constrained, my brain filled with apparently useless terms scattered around without a system. I realised that during the first months of learning I had forced a lot of characters into my brain, but I had not developed a reliable mechanism for blending the concept and its components—sign, meaning, pinyin and tone—into a stable communication unit. I felt these information as isolated data disseminated between neurons with no synapse able to merge them into meaningful communication units.